Late summer chutney: figs, vanilla and tandoori. This year was clear in my mind that I would make fig chutney. Last summer began my love affair with homemade chutneys and I started with apricots. As I am not a big consumer of marmalades, chutney became the perfect reason to use all that seasonal fruit instead. It is so comforting to be able to fill your pantry with homemade goods. It is a pleasure to enjoy them during the year after your hard work ( specially in the hot season). And also, like in today´s recipe, it makes a beautiful gift when you are invited for a dinner or if you plan to make christmas baskets like these ones. 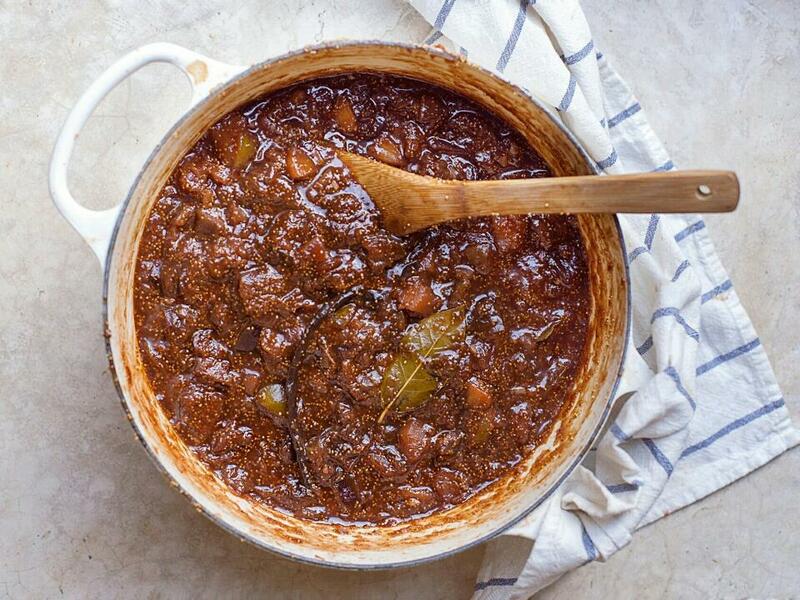 I can assure you this chutney is truly amazing with both the vanilla and spices combination. I have already offered it to several friends and they all agree: incredible. So despite it is not a “healthy” food, because it is something to eat occasionally , it will definitely be much healthier than the ones you can buy in a grocery shop because I have used coconut sugar instead of refined sugar (even if the final color is darker) and apple cider vinegar instead of any other wine vinegar which is a lot more acidic. You can surely make half the recipe if it is your first time making marmalades. It will be ready after half an hour of boiling instead of an hour. The important thing is to keep the heat low and stir constantly at the end to prevent it from burning and stick to the bottom of the cooking pot. But be careful as it tends to splash out and it can be very painful . I truly encourage you to make it, enjoy it and share it. 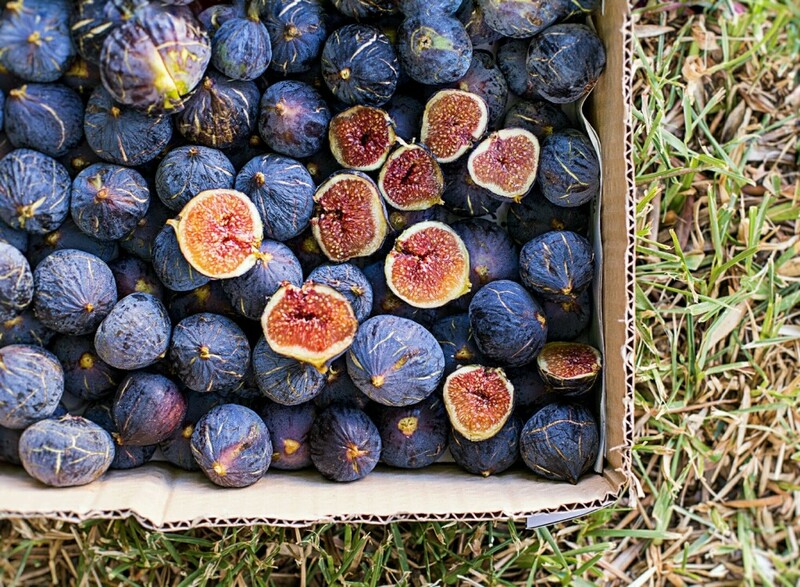 Chop the figs into quarters and then in half. Set aside. Peel and chop the onions and sauté in a tall pot with the ghee or coconut oil during 10 minutes. Chop the garlic gloves and add them to the pot with the bay leafs. Peel and chop in 2x2 cm the apples and add them with the vanilla pods opened and cutted on half with the seeds removed. Let it simmer for 7 minutes. Meanwhile grate the ginger with a microplane grater and add it to the pot. After two minutes add the figs, the tandoori spices and chilli if using. Let it cook for 5 more minutes and add the vinegar and sugar. When it starts to boil, low the heat stir and let it simmer during 1 hour, stirring every 10 minutes at least and during the last 15 minutes every 5 minutes to prevent it from burning. BE PLEASE VERY CAREFUL AT THIS POINT!!! It can splash and it is VERY HOT! Use your pot lid to cover a bit when you stir at this point. It should have reduce almost to half and have a marmalade consistency. While the chutney simmers you can get your crystal jars ready. Once done, fill each jar carefully and close them even more carefully. You can use the traditional canning method buy simmering the jars in a big pot with water for half an hour, or do the quick version buy flipping them over a rack until cool. In both cases check the jar lids for depressed centers so they can be stored for more than a year.